Meet Janice and Fletch. Janice is one of my best friends and Fletch is literally the only dog in the world that Monk likes and won’t attack. I’m actually serious. 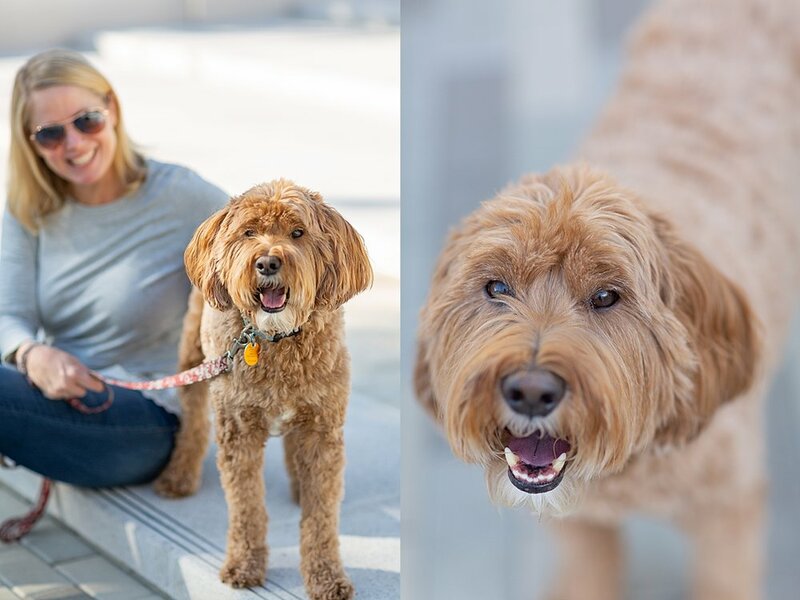 I forced Janice and Fletch to do a little photo shoot one morning at Broadway Plaza in Walnut Creek because I really wanted to test out that location. It was great - light and bright and urban! Anyhoo, Fletch is the best dog around but surprisingly not totally into my camera. Ha. But we managed to get some cute ones. Also, I’m now totally into the idea of dog-and-mom-only photoshoots. I love the white of Fletch’s eye while he’s looking at his mama! the bachelor thoughts - january 21st show!